Cow slaughter debate: What are the various views and data? I have been thinking about this on and off beef debate raging in our country, and I realize it is a very complex, multi-dimensional thing. Each side of the table has its own considerations and they are all important. Trying to explain how I see the situation. Beginning with religious perspectives, because they seem loudest these days. [tweetthis]We can’t argue that we used to burn widows, so we should now. We can’t argue we used to eat cows, so we should now. [/tweetthis] Hindus see cows as sacred. 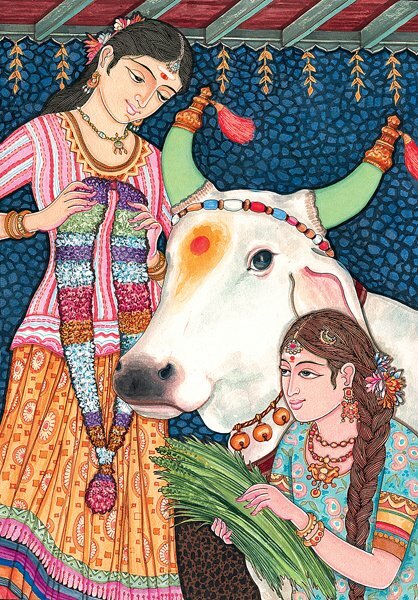 While not specifically a deity, a cow has its place in religious rituals and customs. There are many who argue that Hindus did eat beef in the Vedic period, or that the ban on eating beef where it occurs is for fertile cows. And the documentation seems fairly convincing. However, I disagree that this means that the same rules apply today. One big difference between Hinduism and Abrahamic religions is that practices have evolved and been different in different times. Just like we can’t argue that we used to marry kids and burn widows, so we should do it now, we can’t argue that we used to eat cows and we should do it now. The fact is that whatever the past, the present holds a deep reverence for the cow and an aversion to cow as food. This must not be ignored. It is not enough to say minorities have rights if that means violating very deep rooted beliefs of the majority. This is my opinion based on a purely social understanding. So, I see the validity of the stand of the Hindus that they oppose beef as food. Not much to say here. Christians eat beef. At the same time, most are also fine not eating it out of consideration for the community at large. [tweetthis]Beef eating by Muslims rarely happens in front of Hindus. It is more often in Muslim areas, where it is not offensive. [/tweetthis] The same with Muslims. Most Muslims I know in India don’t actually eat beef. Islam has no problems with eating beef, but they do it out of a cultural understanding that it is offensive to those they live among. Whether this is a fear of being targeted for eating beef, or it is a genuine respect and willingness to not expose fellow Hindus to such actions may vary from place to place. Any beef eating is mostly done in Muslim areas – where it is not offensive – culturally. [tweetthis]Dalits find beef an affordable and nutritious food, which their beliefs don’t prohibit them from eating. [/tweetthis] I have heard this on and off. Dalits eat beef. 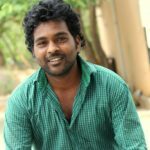 Dalits also are interested in legitimizing beef as a source of food, because the very fact that most Hindus will not eat it, in a country of Hindu majority means that it is significantly cheaper. This is important to them. Considering that an majority of dalits are under the poverty line, and that beef is indeed nutritious, this is no trivial consideration. Also, I can understand their need to openly eat cows, instead of hiding it as a shameful thing. They have lost enough dignity over the ages. If they eat something, hiding it for social disapproval of upper castes would be a return to that same thinking. They are legitimate people of the land, eating food that is not forbidden to them. There is no need for them to be ashamed of it. [tweetthis]Unlike goats or chickens, cows are often part of a household and it becomes uncomfortably like eating someone you know. [/tweetthis] A friend brought up an important point. Unlike a goat or a chicken, the way a cow is housed in a home, the daily interaction with owners, and so on means an emotional bond. She would find eating a cow about as appealing as eating a cat or pet parrot. Another friend in the same conversation remarked that cats and parrots eat very little and are not domesticated for their economic utility. However many love their goats dearly, specially those who own one or two for milk, families who have children, etc as compared with shepherds with large flocks intended for consumption. On the other hand, there are communities that will eat dogs too. It is a difficult boundary. I have once unknowingly eaten a goat I had been friends with on an earlier visit. During the post [delicious] dinner conversation I asked my hosts how Chulbuli was doing, and they went “uh….” I wouldn’t have had dinner if I had known. I’d have asked for vegetarian only food if I could have saved her. Though I know she would still have died on another day. The worst part is that dinner had tasted very very good, and I was feeling horribly guilty for enjoying it. [tweetthis]Non-productive cows are an economic drain on owners. It is no small expense to feed a cow you have no hope of earning from. [/tweetthis] I have lived a rural life for many years and have experienced the realities of owning a cow among those who aren’t particularly rich (which is a heck of a lot of people in India). A cow has significant requirements. 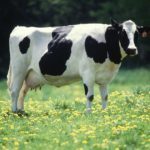 Most cows today being hybrids for greater yields of milk, they are not as hardy as the cows of old, who could weather the climate of their place through natural evolution. Cows today live in sheds. This not only means the structure itself, but the bells and whisltes that go with it. Cleaning it, airing it, etc. A cow is a lot of work. The cost for a day’s feed can easily cross Rs.150 without getting into anything special. If a cow gives milk worth Rs.200 or more, that is rewarding, but when she doesn’t… things get ugly. [tweetthis]Taboos around slaughter lead to cows and bullocks being abandoned on the streets to feed at garbage dumps. [/tweetthis] Barren cows and bulls are an expense. And not a minor one. While it is true that it is callous to value an animal for its economic merit, it is also a fact of animal husbandry – even for dairy. 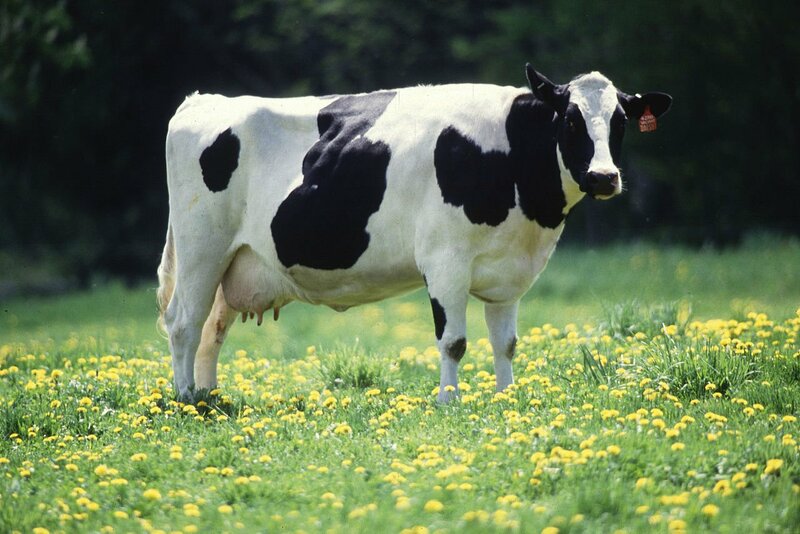 A barren cow is also difficult to sell. With a ban on cow slaughter, it will be impossible. Who would buy an animal to feed massive quantities of grass daily for no gain? I have heard of families wishing their cows dead, I have heard rumors of someone poisoning their cows because they were barren – unverified village gossip. I have seen with my own eyes the ration of cows go down drastically when they are not lactating. It is simple to blame the cow owner for cruelty. But the fact is many simply cannot afford. If you go to Manali in late November and visit the Rohtang pass, keep an eye out for many, many calves dotting the frigid countryside along that winding road. I don’t know where they come from, but every year, there are cattle driven to certain death on the slopes of that and other passes – to die of cold when the snow falls or at the hands of wild animals. Get out of your car, approach them. They are mostly friendly – domestic animals. Used to humans. Look carefully. All of them will be male. [tweetthis]Taboos against slaughter make cows economically unviable and population of cows grows much slower than buffaloes. [/tweetthis] Few people need to plough fields anymore, and with calves not eaten, and of no other use than their dung (which fertile cows also provide), they get abandoned. Abandoned cows are also a reality in cities, at garbage dumps, eating plastic, often dying of it. You call animal helplines, they will be blunt. They don’t know what to do with them either. An NGO can’t possibly own, house and feed all the retired population of cattle! They don’t have that kind of resources. No one with a stake in cows has, except some of our larger temples who also have an interest in cows not being killed and with massive donations in charity (and the possibility of raising more to save cows) they definitely could afford it, but I haven’t seen temples keen on adopting cattle they would like to save. I would use and call a number if provided. India is likely to become the world’s largest beef exporter by 2013 – believe it or not. Wait, before setting my blog on fire. The beef India exports is buffalo meat. You never get to hear this, because of the extreme volatility of public opinion on this issue. No one wants to talk about the beef industry here. Naturally, we also have a flourishing leather industry, which is an even more hidden matter. I think most people think that leather goods manifest out of thin air, because when they see the reality, they go insane enough to murder five people just doing their jobs. Those men got angry and the place being Haryana, they fixed that by lynching to death all the five dalits who skinned the carcass of the cow. I have no difficulty understanding why dalits are not impressed by reverence for a cow, when their own lives are considered cheaper. No more, no less. Why? Because our diaper changing, religio-political thought hijacking leadership has simply erased many facts of life from public consciousness. No one thinks of where cows go when they die. I suppose most imagine a cow heaven with green grass, fresh water springs and calves gamboling like freaking deer in a Disney film. In reality, there are thousands and thousands of stomachs being fed handling dead bodies of these “mothers” no one wants to think about. Collecting carcasses from highways and streets and parks. “Processing” them. Not a single “son” of these “mothers” shows up, to avoid any inconvenient expenses or effort. If the dalits had any worshipful thoughts, most tanners being low caste and looking at how unwanted stray cows are would tell them the truth anyway. Why not feed starving people? And does banning cow slaughter actually result in the well being of cows? If their economic worth is reduced to only milk and dung, their viability itself suffers – in other words, a slow genocide of these ‘mothers’. Particularly if a non-productive animal can not only not be sold for money, but can’t actually be killed or done anything with except worship. Better to not have and breed cows than incur expenses many times worth the milk they produce! A case in point are official animal census figures. Almost every animal on this list has nearly doubled their population from 1951 to 2007 with the exception of cows and animals used as transport. The decline of animals of transport is to be expected with the decline of their use for transport. [tweetthis]Animal census data from 1951 to 2007 shows that the population of cows grew by 34% while buffaloes by 159.2%[/tweetthis] The cows? From 155.3 to 199.1 – an increase of 28% for cattle in general and from 54.4 to 73.0 – an increase of 34% for adult females (cows) in 57 years. They have been strangled off through protection – even as demand for milk has increased manifold from the increasing population. Buffaloes offer almost identical uses, but buffalo meat is eaten and exported for food too. From 43.4 to 105.3 – an increase of 142.6% for buffaloes in general and from 21 to 54.5 – an increase of 159.52% for adult females in 57 years. Who calls this protection or even respect? Religious hyperbole and exclusivist pandering have made a monkey out of all religions by encouraging the least practical and most flamboyant statements of special favor. While the Muslims are slowly waking up to the fact that quotas and doles did them more harm than good, it will be a long while by the time Hindus realize that they have been conned into the most visibly exclusive and intolerant practices as a statement of their unique superiority for the exact same reasons as the Muslims. [tweetthis]”Would you eat your mother?” “No, but I also wouldn’t tie her in a shed.”[/tweetthis] My words have little value for a Hindu fundamentalist, therefore I borrow from a hero they do respect – Veer Savarkar. Animals such as the cow and buffalo and trees such as banyan and peepal are useful to man, hence we are fond of them; to that extent we might even consider them worthy of worship; their protection, sustenance and well-being is our duty, in that sense alone it is also our dharma! Does it not follow then that when under certain circumstances, that animal or tree becomes a source of trouble to mankind, it ceases to be worthy of sustenance or protection and as such its destruction is in humanitarian or national interests and becomes a human or national dharma? Without spreading religious superstition, let the movement for cow protection be based and popularized on clear-cut and experimental economic and scientific principles. Then alone shall we achieve genuine cow protection like the Americans. I don’t know what the right answer is on cow slaughter. I disagree that it should be banned. At the same time, there needs to be consideration for the sentiments of those who are emotionally attached for religious (or other) reasons. Perhaps the answer lies in a mix of live and let live combined with clearly marked and separated areas that cow lovers can easily avoid. Areas with a large religious significance or places of pilgrimmage could be barred, etc. Another big help on this front would be in making slaughter more humane – for all animals. Will go a long way to know that animals may die for food, but they did not suffer for it. Like all things democratic, we ought to find a middle way rather than an uncaring imposition that is absolute in any one direction. Thank You for the detailed Blog on Cow Slaughter. I have nothing against Cow Slaughter. let it continue. My Grudge is against Beef Ban which is not right for anyone who likes to eat what they want. Anyway the BJP has an agenda and will pursue it. The Middle path is the best way to deal with it. In India cows are rarely slaughtered. Generally it is the bull. Land owners and milk producers are generally Hindus who don’t sell cows even when they don’t produce milk. However they have limited use for the bull, they keep the number of bulls they need to plough their fields and either sell the rest to butchers or leave them to be on their own. Population of cattle on the Indian roads is huge but you will hardly see a cow, they are all bulls and interestingly never buffalos. The reason you won’t see buffalos on the roads is that they are easy to take to the slaughter houses without getting thrashed by fanatics. There are many transporters who are caught by Bajarang Dal people in Punjab (probably in other areas too) and are badly thrashed for transporting bulls. For them anything with horns that is not buffalo in the truck is a cow, or they just love beating up poor people. Thanks for bringing the light of clear reasoning to this cussed topic. The practical issues with cow slaughter is very similar to practical issues with implementation of the sharia. Public law has to be primarily based on well being of people, protection of human rights/freedom etc. When solely exclusive religious considerations like cow slaughter, sharia etc come into picture (which are not just personal, but imposed on others), it muddies the waters and becomes shackles. Religion then becomes a undermining force, than a liberating one. You spoke of evolving traditions (from beef eating to worshing of cow). Why not evolve again to bring practical humanistic considerations and remove the religious shackles? In your neat segmentation, you have ignored that beef-eating in NE states and that South Indian state has very little to do with religion or caste. Yes. Thanks. Much has been missed. I acknowledge. I am a Hindu by birth,training and belief.I have always believed that the cow is a symbol of all that is good and positive in our Culture and that it should therefore be given the same care and respect that we should to other symbols of our culture.However, I am appalled at the mistreatment of the cow.We may be calling ourselves GAU BHAKTS , worshippers of the cow, but look at the way we treat/neglect it from its birth to its death.We are not worshippers but exploiters of the cow.As a result, our cows would definitely rank among the worst bred anywhere in the world.When it stops lactating, we just leave it to its own device to fend for itself and no wonder a large number die due to hunger or eating plastic waste.What a contrast with the treatment given to the cow in the West, where they have been doing intensive reasearch to improve its breed and yield of milk. (Most of us I presume have heard of Jersey cows).They are given proper sheds to live ,scientifically balanced diet to keep them healthy and at certain places even kept in AirConditioned sheds to give them a constant temperature best suitable for them. Due to our neglect, the cow breeds of Ongole in the South and Hissar in the North remain almost where they were 50years back and it is feared that unless large scale in breeding with better imported varieties is done, these high yielding remaining breeds would also become instinct.I would be very happy if I am proved wrong as I feel our nation’s wealth lies very much in its livestock. And then, a question comes to my mind.Who are the real Gau Bhakts, worshippers ofthe cow?We or the countries in the West? Logically, this ought to satisfy everybody. In the case of Christians too, I suggest you revise your statement to ‘most Christians I know’ I’m Christian and know that your statement is patently false. I feel that either the slaughter of ALL animals be banned, or the slaughter of none should be banned. No animal is either more or less special than the other. The life of each is as important to it as mine is to me. In fact, I would rather kill a cow than a chicken since the meat of one cow can feed far more people than the meat from one chicken. So on an absolute suffering scale, killing a cow causes less suffering for the same amount of meat than killing chickens or goats. While everyone has (more than) covered the religious and political aspects of the ‘beef’ issue, you’ve spoken from the ‘cow owner’ angle which is new and hardly touched in the big avalanche this issue has shaken loose. The idea that the majority – whether religious, economic or under any other criteria – be allowed to decide what is offensive and where the line should be drawn with regard to laws, food or literature, would spell doom for any nation, which is what’s happening right now. It’s also unacceptable if the minority keep throwing their weight around, just because they’re allowed to do so, by law. The solution would be each side drilling common sense into their own people, rather than trying to convince (or attack) the other (or he other’s sentiments/beliefs). (This is turning into a blog post. I must continue at my own blog :|)Keep up the good work. Loved the article overall. You rock! Cow slaughter is too tricky an issue. An economically viable solution is not feasible. One has to approach the issue from an entirely different angle. It is a philosophy against materialism. Something like being grateful for the help rendered. Cow provide you everything till its lactation period end. Same like our father and mother. They bring you up sacrificing their comfort. What do we do when they are old ? In earlier days we never had any incling to dump them conveniently when they are old as being done now a days. Cows are also meeting the same fate. Philosophy needs a budget. In a country where the poverty line is Rs.32 and the cost of a liter of milk is Rs.34, and still vast swathes are poor… the philosophical approach is resulting in cows being starved or abandoned. For all the religious talk, few Hindus will step forward for whatever reason, including saving mother cow to adopt a barren cow. It takes working with livestock to understand how it is meter down on the feed and money – whether earning or not. I owned horses. One thing I tell you, you can leave your kid with a relative for a couple of days. Maybe a dog or goat. Try telling someone to babysit your barren cow for a week – forget adopting for life. Trust me, that does not happen. Point taken, concurrence extended and awesome research details much appreciated. I have no objections to beef eating as well though personally I don’t. But if beef should be an imperative item on the menu card of hotel establishments, so should pork too be! If that distinguishing aspect is curtailed and both the meats are accorded equal status on any menu card, be it in a hostel or a hotel, I totally agree. Otherwise, it is a BIG NO!